We love acid! We have a new small section for acid culture and to celebrate it we are showing an amazing exhibition. This is our second homage to smiley so far. In Piotr Piskozub’s poster show “Ravisions”?a Marsel Broothaers’ inspired museum for imaginary raves that never existed?the acid icon played an important role. 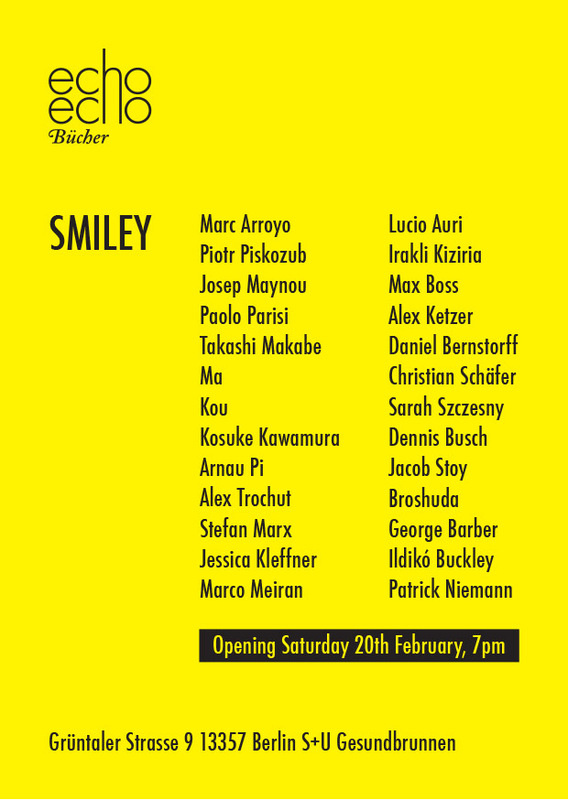 This time we focus explicitly on smiley with 27 artworks from artists and musicians from 9 different countries. In addition to books, posters, artworks and t-shirts, some acid records will be on display as well. Join us! Echo Bücher. Grüntaler Straße 9, 13359 Berlin. T. 030 48628448 E.